23-year-old Miss Stephany LaFountain from Fairbanks, Alaska is currently on trial for the murder of her two children (her four-month old baby girl and 13-month old daughter). Police became suspicious when the sudden passing of her second child in 2017 revealed striking similarities to the death of her first child back in 2015. 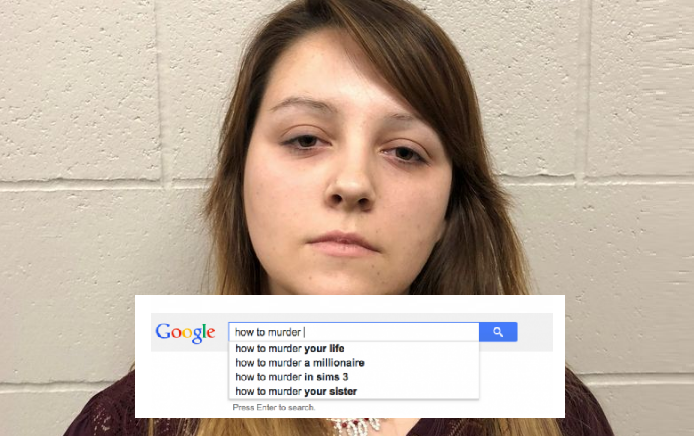 Thanks to her Google search history, investigators discovered her evil intent. On November 20, 2017, young mother Stephany LaFountain called Fairbanks emergency services from the military base in the US state of Alaska where her husband was stationed. She explained that her 13-month-old child had respiratory problems and urged first responders to hurry over. She then phoned her in-laws in a state of panic, telling them that she had tried to revive her baby and finally informed her husband, who was driving towards her already. As a last resort, the young child was flown by helicopter to a hospital where it died four days later. The autopsy revealed however that the toddler (whose name was not disclosed) was completely healthy: no illnesses, no injuries, no genetic abnormalities: the baby had simply died of an oxygen deficiency. When police opened an investigation, they found it suspicious that it was not the first time that young Miss LaFountain had lost a child in such circumstances. In fact, on 15 September 2015, Miss LaFountain’s first child from a different relationship died in the exact same manner. Back then, the four-month-old baby also had "breathing problems" and the in-laws were informed in the same way. The cause of death during the 2015 investigation remained unknown but the body showed signs of suffocation. Investigators then took Miss LaFountain’s computer and discovered that an hour before she had called the emergency services during the 2017 passing of her child, she had Googled the terms: "best ways to suffocate", "how to commit the perfect murder", "kill someone without being caught in 16 steps" and "forensic research ". Miss LaFountain awaits the start of her trial. If convicted, she risks a prison sentence of 99 years. Why wouldn't this worthless piece of crap get the death penalty that she deserves? Also why kill your children instead of putting them up for adoption? How does this compare to the new mexico fiasco where 11 children were starved and malnourished with one dying, but three of the five are back out on the street in less than 30 days.